Today, May 28th, is Margaret Moseley's 98th birthday. She spent the morning having her hair done (every Wednesday), and on Sunday, her four daughters are throwing her a birthday luncheon. I'm particularly looking forward to that event because they are serving Margaret's famous almond iced tea. 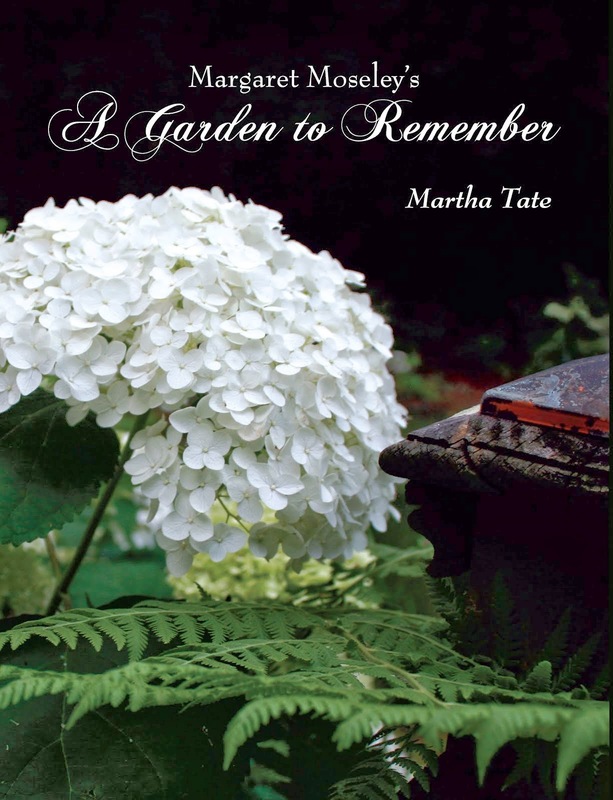 As you probably know if you follow this blog, I finally wrote a book about Margaret's stellar gardening career (Margaret Moseley's A Garden to Remember). Starting from scratch at age 52, Margaret planted everything you see in this book, which was an amazing feat. Almost every time I visit her, we look out from her glassed-in back porch and marvel at how much there is. She will always say with renewed astonishment: "I can't believe I planted all that." I can't believe it either. A towering ginkgo tree, a spreading Kwanzan cherry tree, camellias that are two stories tall. Not to mention viburnums and sasanquas and hydrangeas and smoke trees and native azaleas and Japanese maples and on and on. Margaret is convinced that working in her garden has contributed to her good health and well-being and possibly a long life...... She says it isn't just the physical work - digging, weeding, hauling rocks, lifting containers of plants, rolling a wheelbarrow along the paths - that has made her so energetic. She thinks it's the anticipation that makes all the difference. "I still get so excited when I see a bud that I know will be open in a few days. I get up every morning full of energy, and I just can't wait to see what's going on in the garden. There's never a dull moment." Perhaps most of all, it's the friends she's made through her garden who have kept her so lively and in good spirits. "Growing old, I've been so blessed by the younger garden friends I've made through the years. I'm never lonely. I can't say enough about what gardening has done for me. I wish everybody could have a garden." So, happy birthday to Margaret, and thank you for so generously sharing your beautiful garden and for being an inspiration for an entire generation. Pictured above: The white hydrangea Margaret bought over 50 years ago, which has been named Hydrangea macrophylla 'Margaret Moseley'. 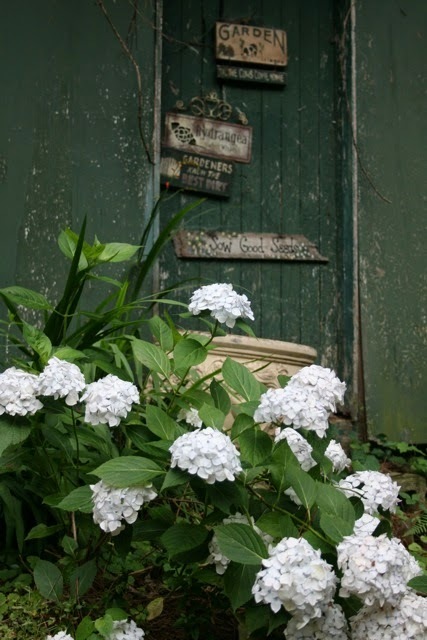 Photograph by Mia Broder, who designed the book about Margaret and who also took the beautiful photograph of Hydrangea arborescens 'Annabelle' on the cover. Secrets of growing old is to be a gardener and also have young friends. Both enrich one's life immensely.